best rolex replica The majority of the moment, probably the most important reason to purchase a wrist watch is basically really because it seems fantastic! Subsequent to the opinion is taken care of they are planning to be able to relish employing the watch for a lengthier time. Always bear in your mind there are guidelines you might utilize for you as a way to pick the ideal watch for your self. To learn just how to opt to get a wrist watch, but additionally, it is important to support the most crucial thing, notably not compromise. The real enjoyment of having a genuine Rolex isn’t merely that it’s a status symbol. The electronic movement stipulates the date along with the moment. 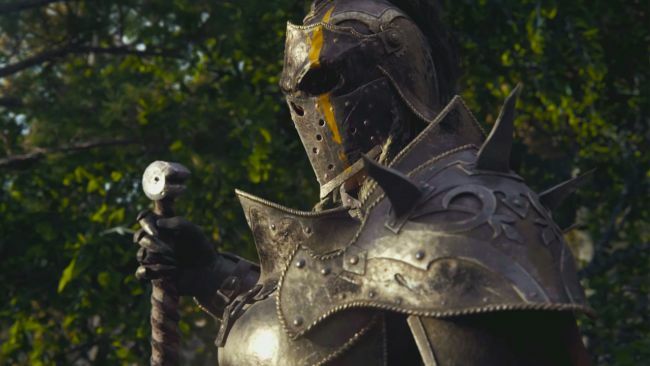 Developed by Ubisoft, For Honor is due to release by February of next year. The game captures what no other video game melee combat can; the detailing of the weapons, the type of attacks and the sound effects. The effects are crystal clear, the “clang” sound when two metals clash, the dodge when you move away from the attack, and the low, deep thud that soothes the ear when an axe strikes a human body to the ground. The story moves around three factions and their clans fighting for the ultimate glory. You might wonder that the armors, the weapons and the outfits seem pretty familiar. Yes, they are familiar to us. The story writer decided to bring together three of the historic warrior races into one single world. The game allows you to choose between three factions; the knights, the samurais and the vikings who are known as legions, chosen and warborn according to the game. Each of the factions have four combating skills which vary between them. You can decide to choose and fight with any of them, but in the end it comes down to what you really want the most during a battle. The four combating skills are; Vanguard – to balance between attack and defense, the slow and resilient heavy, the all of attack of an assassin, and the adaptable techniques of the hybrid. The multiplayer campaigns offer the 4vs4 battle against different factions. The multiplayer mode doesn’t allow you to re-spawn if you die in battle. However it offers different sub modes of combat like 1vs1 duels, 2vs2 tag or total chaos of 4vs4. One of the other advantages of a multiplayer campaign, is that people from different factions can fight alongside each other in the same team. This means, a Viking, a knight and a samurai can form a team against another set of warriors from different factions. The single campaign also exists and comes with a storyline where you choose one faction and play according to that clan’s legacy. The trailer gives a clear hint to what is going to happen in the game towards the end. The struggle and bloodthirst between the three factions looks to be triggered by one Apollyon and her forces. They are manipulators who orchestrate the fight between the three factions for a thousand years without letting them have a word of peace. Her forces are called the blackstone legion. It seems, as the player from either of the three factions, we come across the blackstone legion forces from time to time across the story line. But we aren’t sure how the story would take us to the end of the game. This hint might also be misleading us, to expect a different story than what is going to be delivered. The Knight, Samurai, and Viking roles come with these archetypes respectively: Vanguards (Warden, Kensei, Raider), Heavy (Conqueror, Shugoki, Warlord), Assassin (Peacekeeper, Orochi, Berserker), and Hybrid (Lawbringer, Nobushi, Valkyrie). So when you choose vanguards battle type, you can choose a sub-type from the three present within the brackets. Every hero in the game is given a distinctive look and have a distinctive style of fighting to make the game more realistic. They have got their own unique animations and combat techniques, which is pretty rare in melee combat games these days. So Ubisoft scored in this aspect. Feats of Strength are special abilities that builds up power that unlocks once you’ve leveled up, which is done by scoring kills, assists, and objectives. Manipulating your hero based on this aspect gives you a number of combat possibilities. You can abject the feats of strength in order to match your current motive or objective. This can range from going total berserk and aggressive to evading and being defensive. So which faction and character will you choose? The choice is yours and so is your honor!